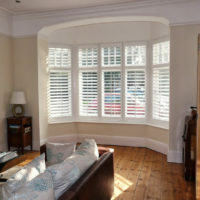 Are there any windows more fabulous than bay windows? 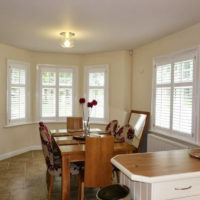 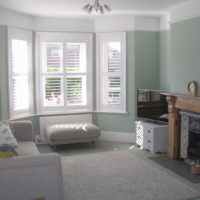 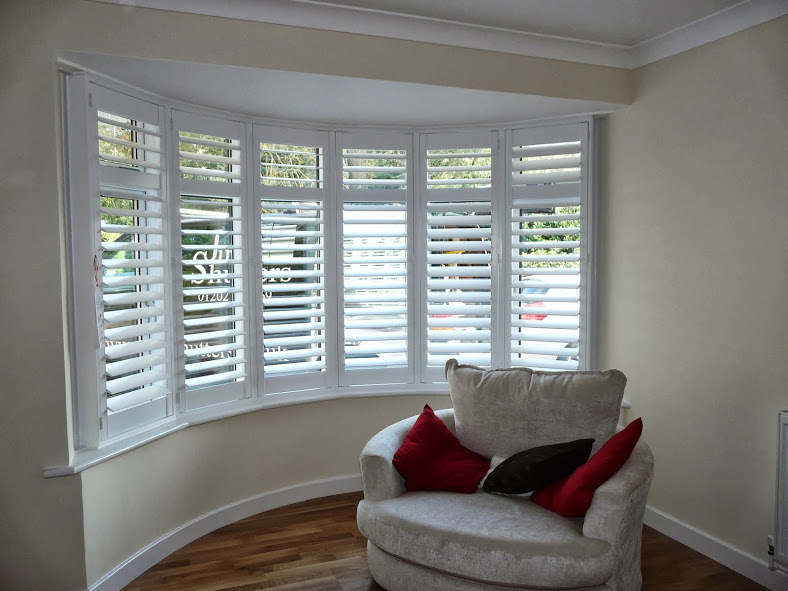 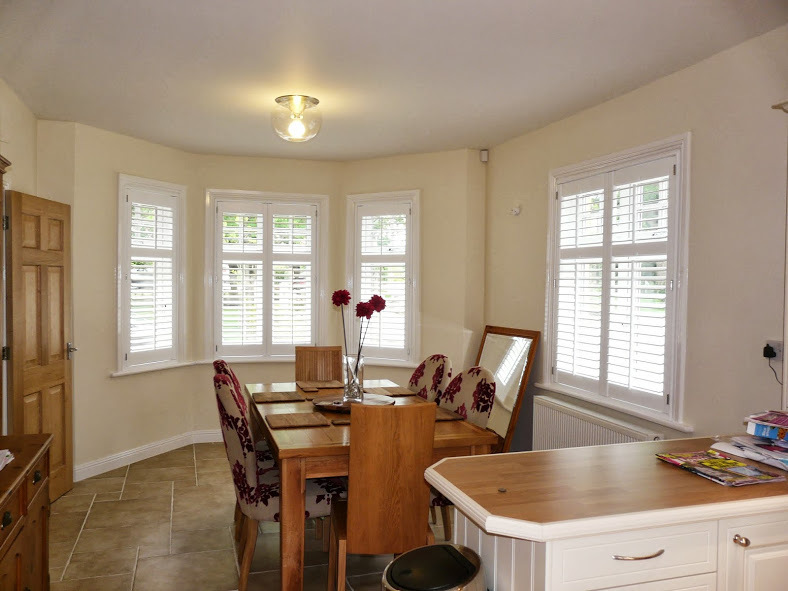 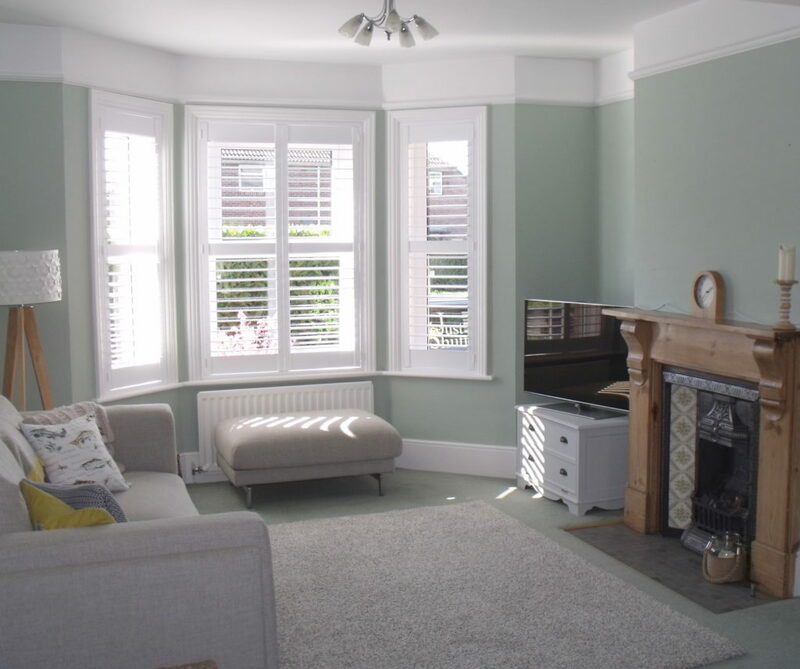 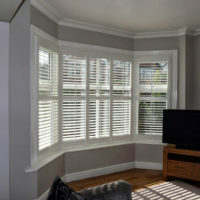 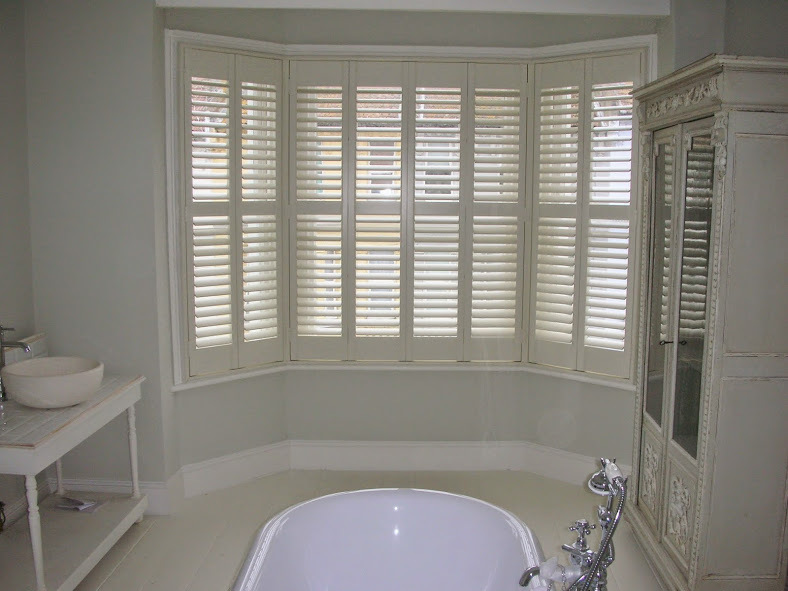 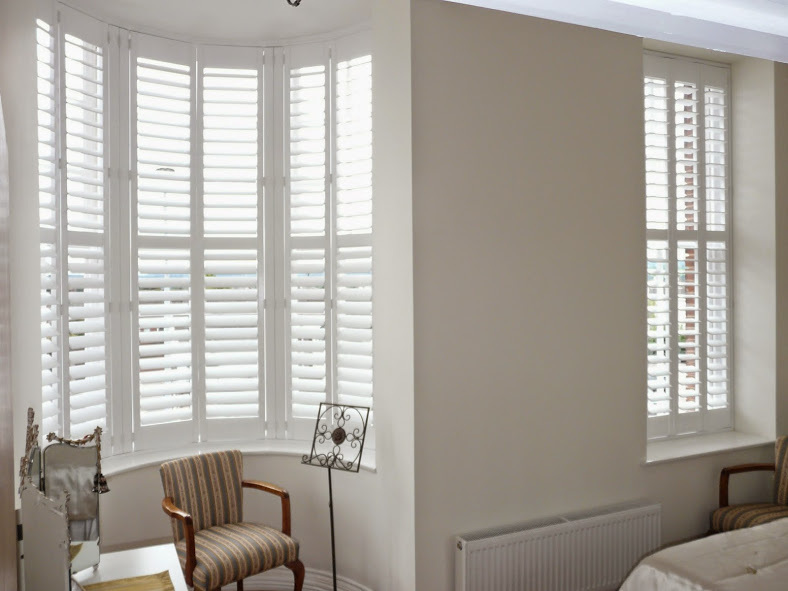 Is there any better way to dress them than with our stunning bay window shutters? 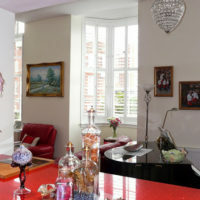 We don’t think so! 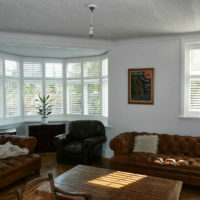 Maximising views and light, bay windows enhance any room. 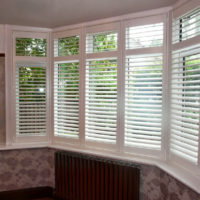 Shutters are the perfect way to make any bay window even more beautiful. 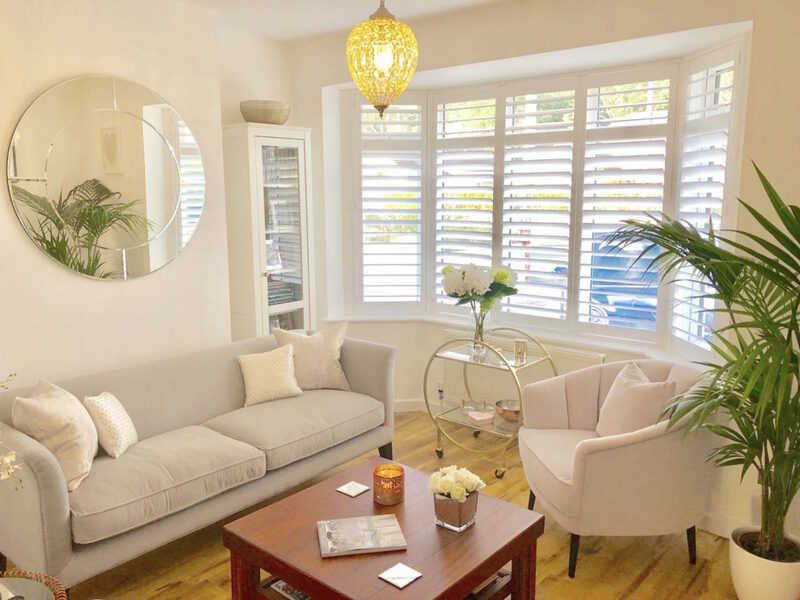 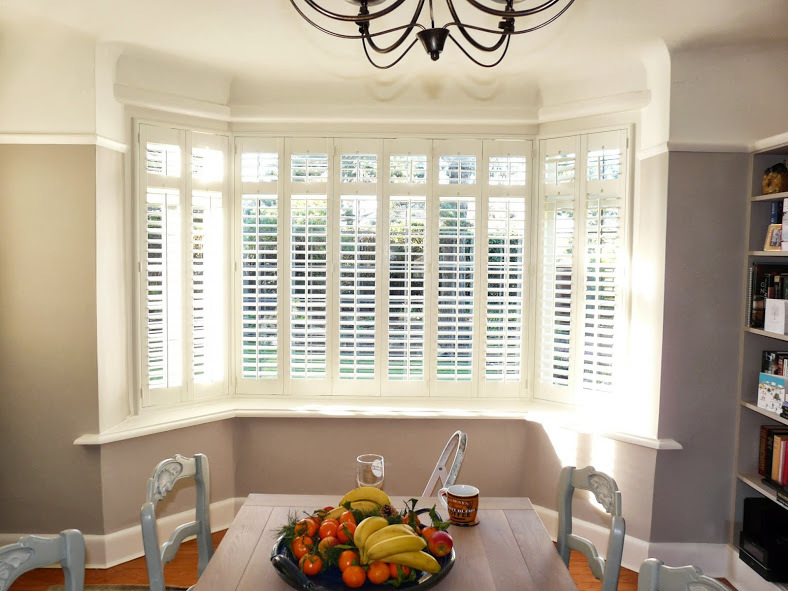 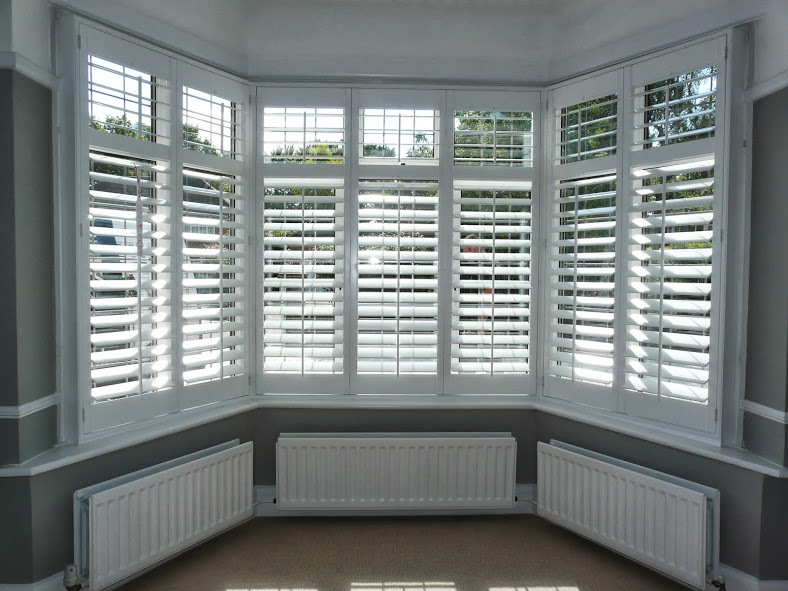 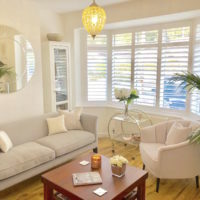 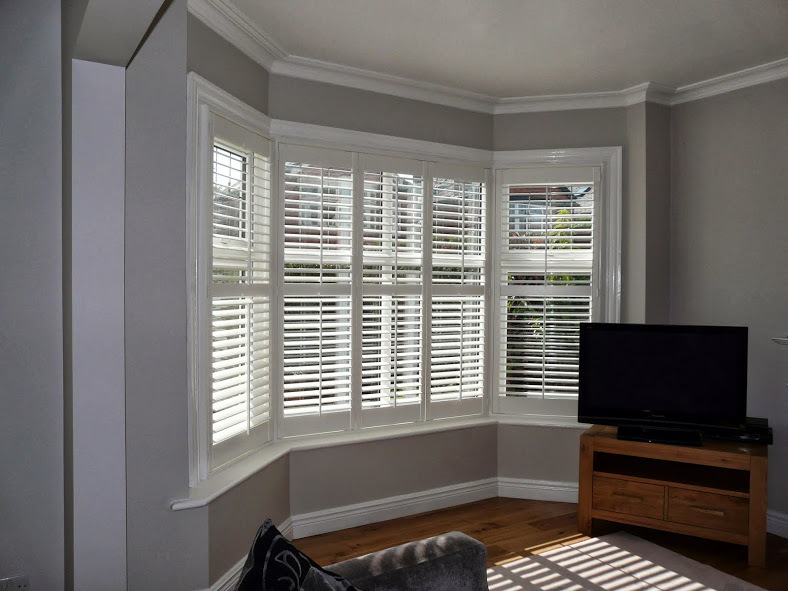 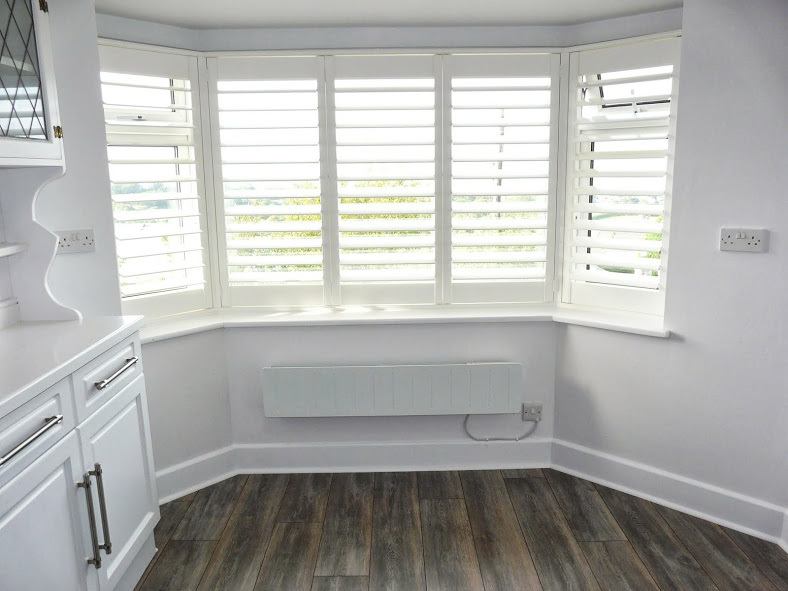 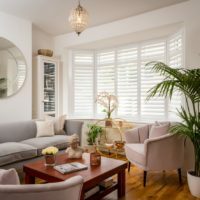 Plantation shutters – or wooden shutters as they are commonly called – are the practical and stylish solution for any bay window. 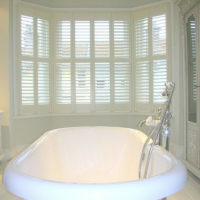 Not only do they add privacy to a room while allowing ambient light in, they offer a range of added benefits. 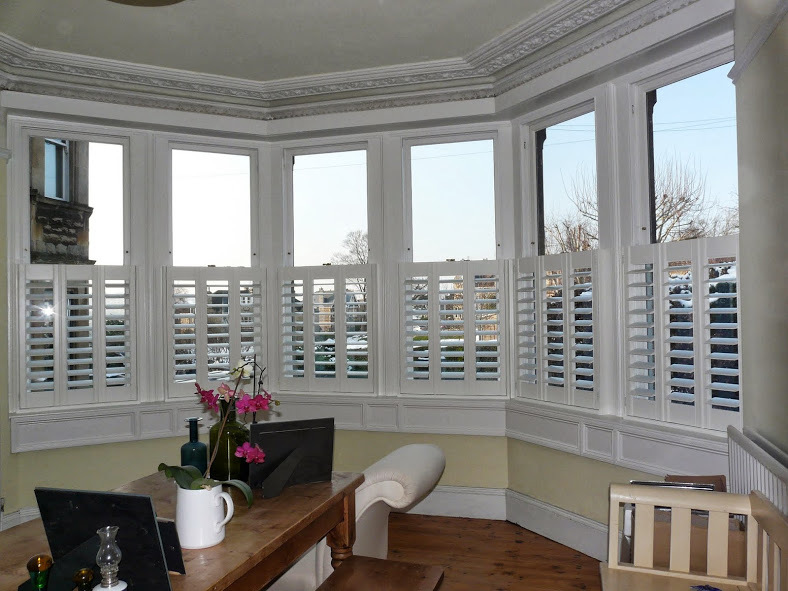 Here are just some of the many reasons to love bay window shutters! 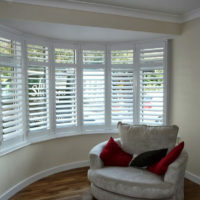 – Shutters are practical. 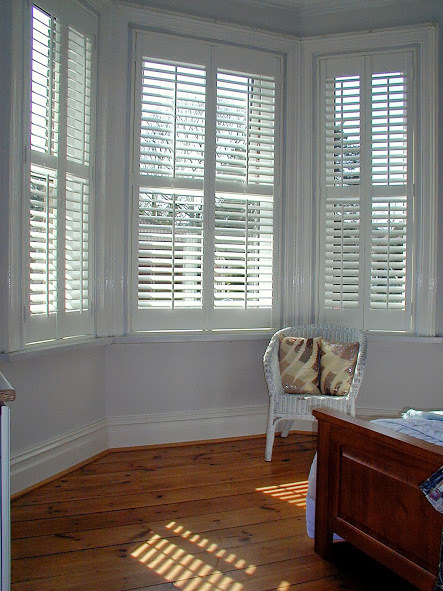 Put simply, no curtain or other bay window blind is as maintenance-free as a plantation shutter. 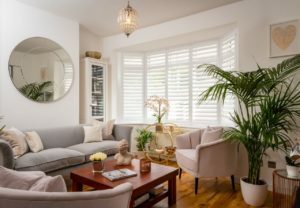 – They add privacy. 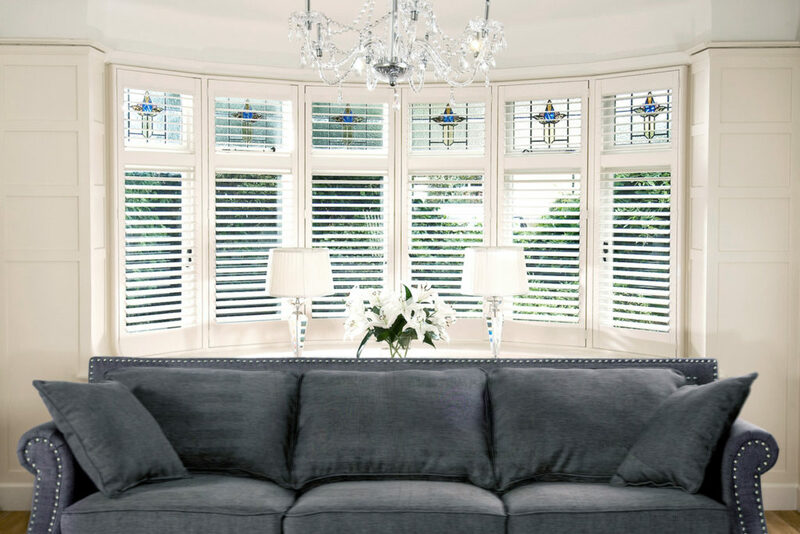 No other window dressing allows light in while shielding your interior from view in quite the same way. 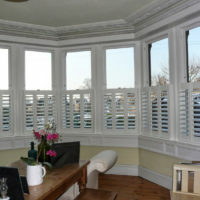 Forget ghastly net curtains, shutters are the solution! 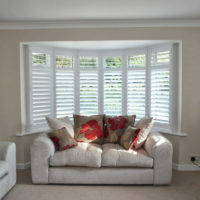 – Shutters are super stylish. 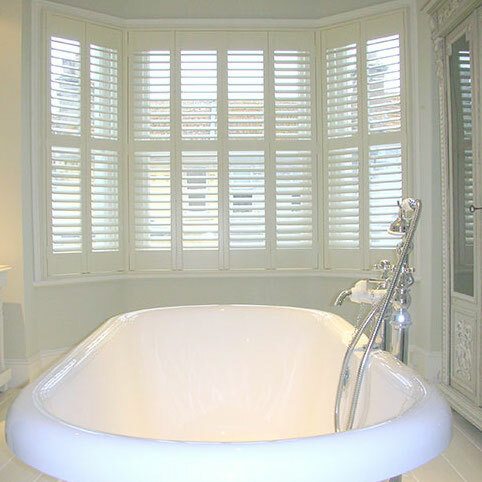 Shutters are a beautiful addition to any bay window, enhancing the window’s natural features. 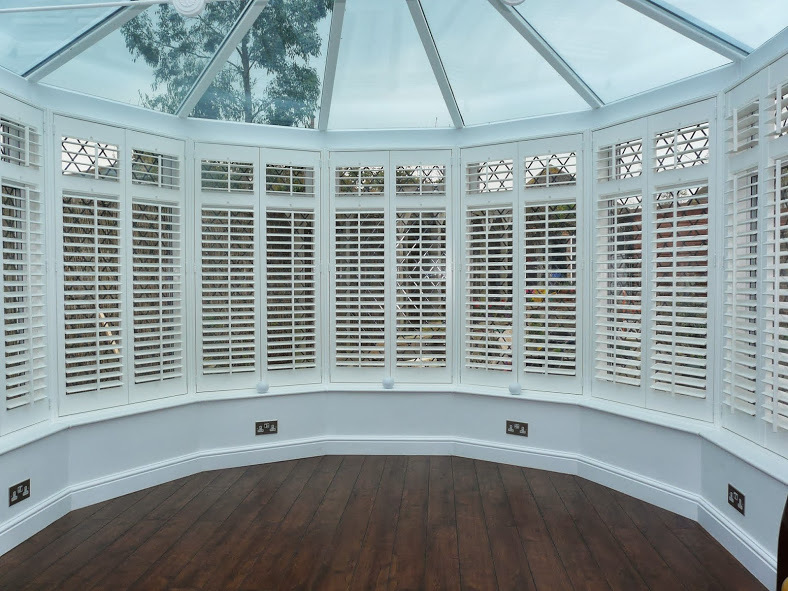 – Security concerns? 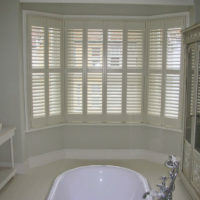 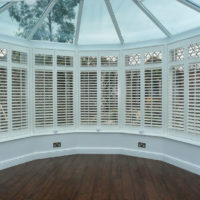 Plantation shutters add security by shielding your items from view. 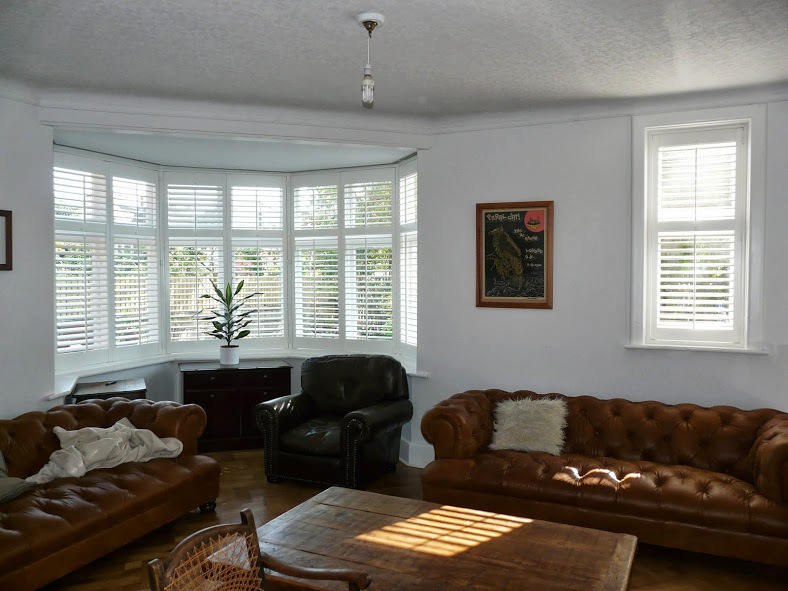 Many bay windows are vulnerable to intruders, as such a big space (especially single-glazed Victorian and sash windows) can be a point of entry. 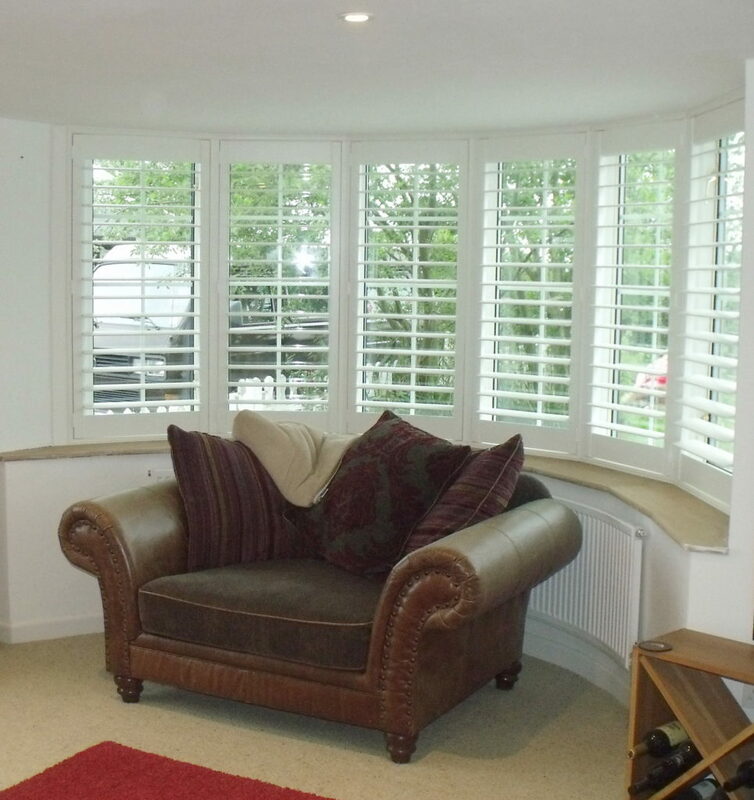 Adding plantation shutters also gives an additional barrier to intruders. 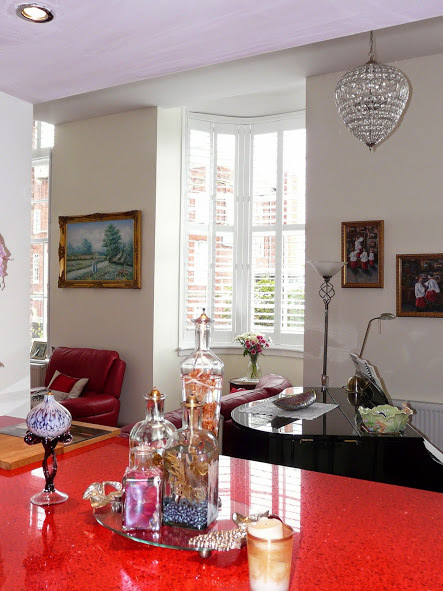 – Value and piece of mind. 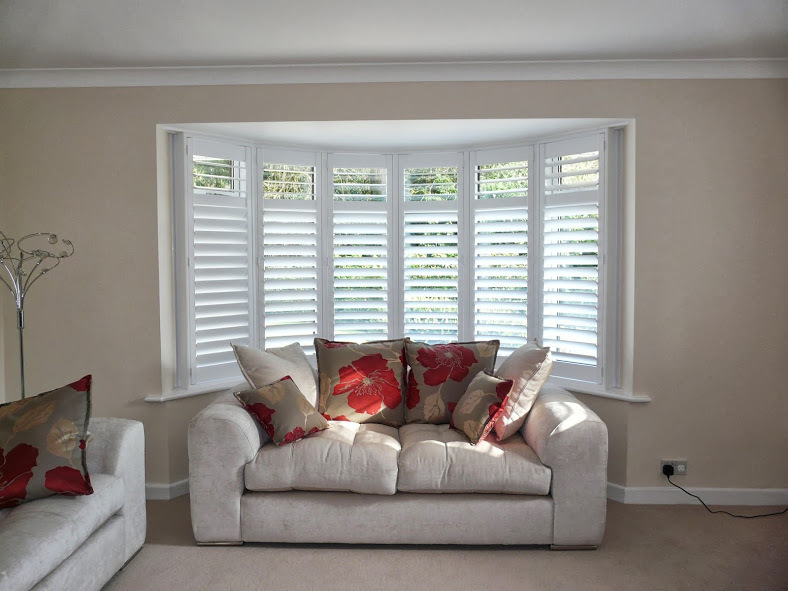 Our shutters come with a lifetime guarantee. 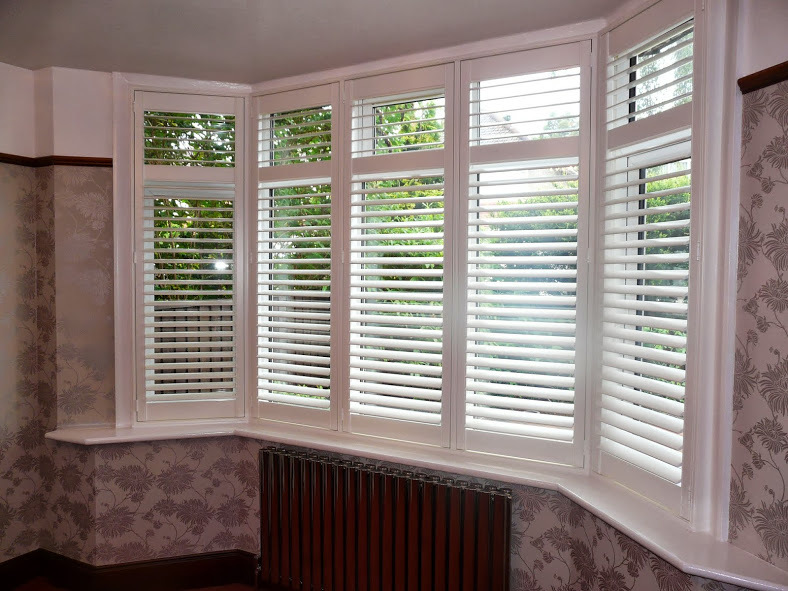 – Unlike curtains, shutters are allergen-free and don’t attract the dust, dirt and mould or mildew that other window dressings can. 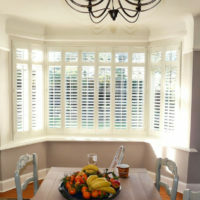 Curtains can be cumbersome; even when pulled right back they can obscure the natural beauty of a bay window. 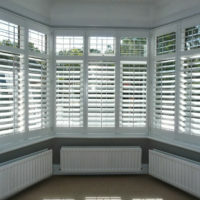 Shutters, on the other hand, enhance the lines of your bay. 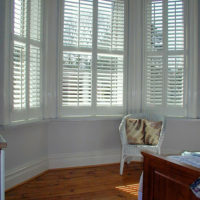 Shutters can close to almost blackout; when angled they simultaneously offer both light and privacy. 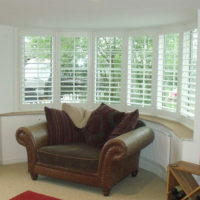 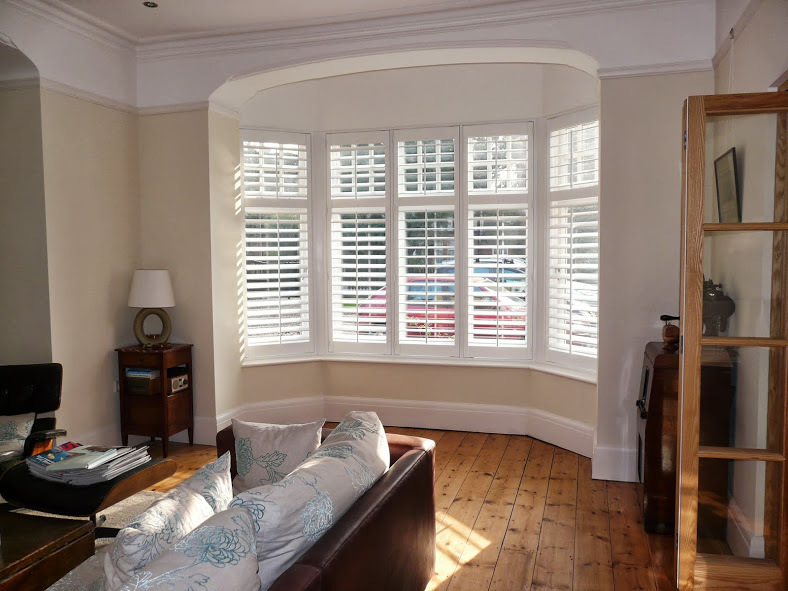 Shutters can fold back completely, displaying your bay window entirely. 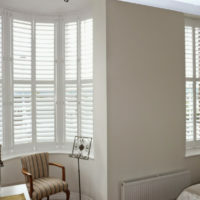 Just Shutters are your local Plantation Shutter experts. We would love to show you how we have worked to gain our unrivalled reputation and why we have over 8000 happy customers! 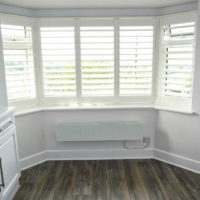 Please call us on 0845 894 0700 or follow the links below for more information.